NSA CodeBreaker Challenge - Still Time to Participate! There are still over 100 days left to compete in the NSA CodeBreaker Challenge. The challenge started when NSA's Signals Intelligence Directorate sought ways to attract top talent from the STEM disciplines to a career in national security. For the challenge, NSA experts build a story around a problem, such as breaking into a terrorist organization's communications network or protecting a computer system from a hack. The challenge consists of multiple tiers that become progressively harder. In 2014, only 10 students solved the fourth and final tier problem. A small team of NSA volunteers visits the colleges, provides guidance to students working on the challenge, and evaluates the submissions. Each year the program grows and improves. This year NSA created a website for students to download the problem and track progress. The site includes a leaderboard that offers the schools bragging rights. Two weeks in, more than 1,000 participants from 130 schools are participating in the new online version of the challenge. 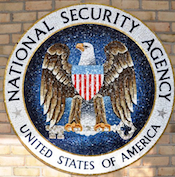 Read the full NSA Press Release regarding the CodeBreaker Challenge. Want to participate? Visit the NSA CodeBreaker Challenge website to register or just to check on the leaderboard and cheer on your favorite schools. Go to the Cryptologic Bytes archives via the "Return to List" link below.